Buying a gift for your loved one for Valentine’s Day can be a stressful experience. It’s hard to show how much you love somebody with a gift you got at the local mall. That’s why it’s always better to DIY. Your Valentine will definitely be impressed with a gift that you put your blood, sweat, and tears into (not literally, of course). A gift is better when it’s made with love. If you’re in need of some Valentine’s Day inspiration, I’m sure your bae will love something on this list. Warm hands, warm heart. Is that the saying…? Either way, your boo will 100% appreciate the DIY hand warmers coming up. Yeah, you could go to Lush (or some other cosmetics store) and get your partner a pre-made bath bomb, but he or she will appreciate it so much more if you make one by hand. It’s the thought that counts, and making a bath bomb takes more thinking than buying one. All you’ll need is some Epsom salts, baking soda, cornstarch, citric acid, food coloring, and essential oils. There are tons of recipes online, but you can start by clicking on the link under this photo. Slime might not be the most sophisticated Valentine’s Day present in the world, but it is a super fun Valentine’s Day present. You’ll need some white Elmer’s glue, some warm water, some liquid starch, pink food coloring, and red glitter. Mix everything together and you’ve got a gift that will keep your Valentine busy for hours. This is also a fun project to do with kids. Yeah, it’s a little bit messy, but so is love so it’s very on theme. Valentine’s Day is in February which means that it can be pretty chilly outside for some parts of the world. What better way to tell your sweetie that you care about them than by warming their hands with a warm heart? These things are pretty easy to make. You basically just cut two heart shapes out of flannel, sew them together, fill the pocket with rice, sew it shut, and you’re done. To heat them up, just pop them in the microwave for a minute. 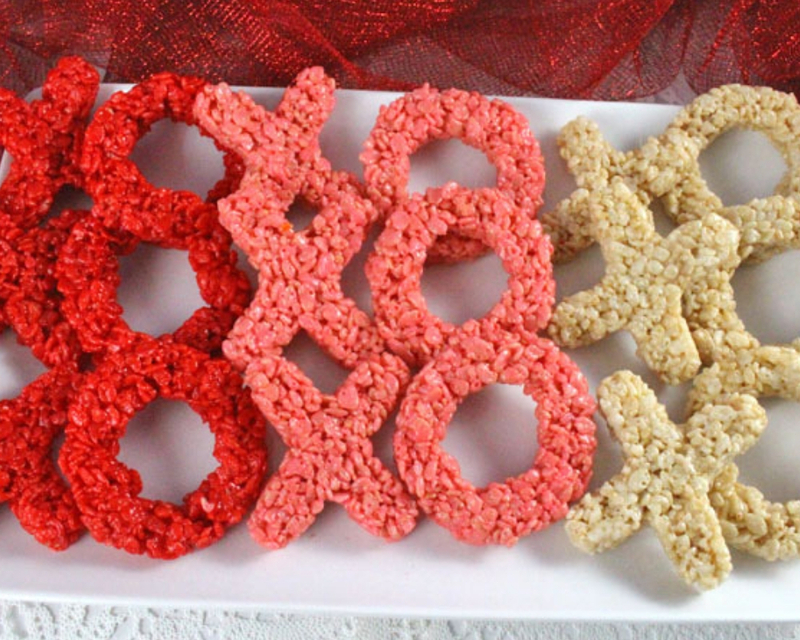 Rice Krispy treats transform into the perfect Valentine’s Day gift with a little food coloring. The good thing about Rice Krispy treats is that you can mold them into whatever shapes you want. You can make Rice Krispy treats for any occasion. Yeah, you could go with the traditional heart shape, but why not mix it up a little bit. Add some food coloring and make some Xs and Os. You could also make your partner’s initials, or create shapes that reference moments in your relationship. That might be a little over the top, but I’m here for it. 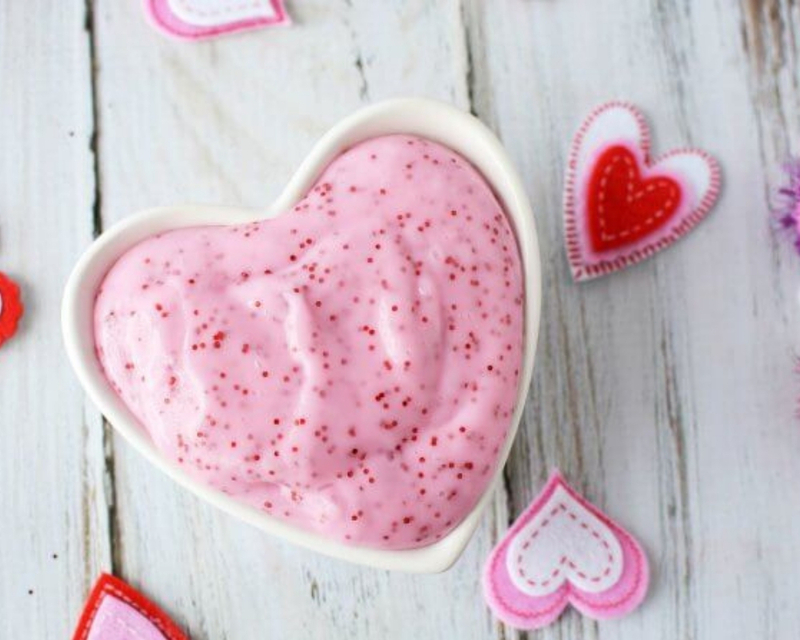 You can basically take any snack and spruce it up to make it more fitting for Valentine’s Day. Popcorn is a delicious snack that pretty much everyone loves. The only thing better than plain old popcorn is some delicious gourmet popcorn with added chocolate. Just add some red and pink candy hearts, M&Ms, sprinkles, and anything else that suits your fancy. If you’re feeling really extra, you could even make some old fashioned pink popcorn. Who doesn’t love a good pun? Also, who doesn’t love a root beer float? Actually, I’m not a huge fan of root beer floats. I just think that root beer tastes too much like toothpaste, but to each their own, I guess. This basket could easily be modified to make Coke floats, though. Coke floats are delicious. 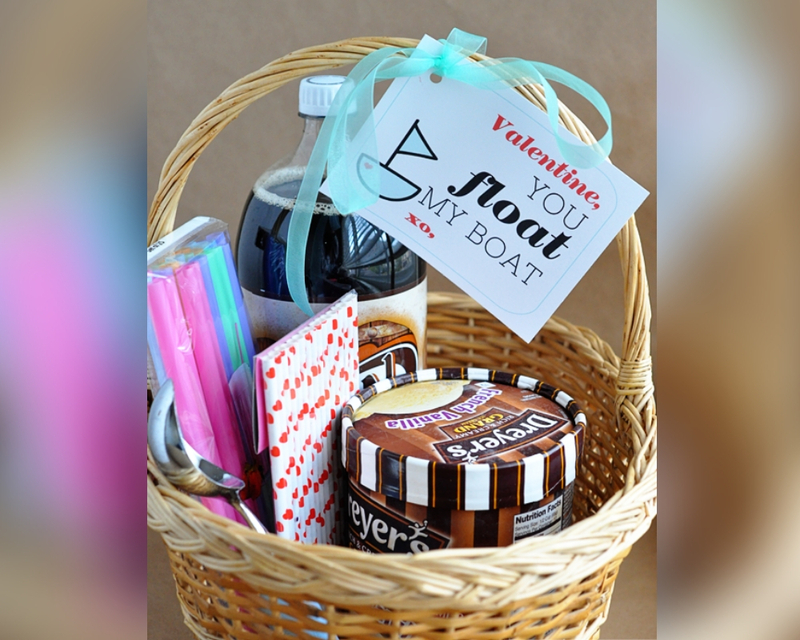 Just fill a basket with the soda of your choice, some vanilla ice cream, some straws, and an ice cream scoop. This is a great craft to make with your kids. Just have them stamp their thumbs side by side in a heart shape on a piece of paper. 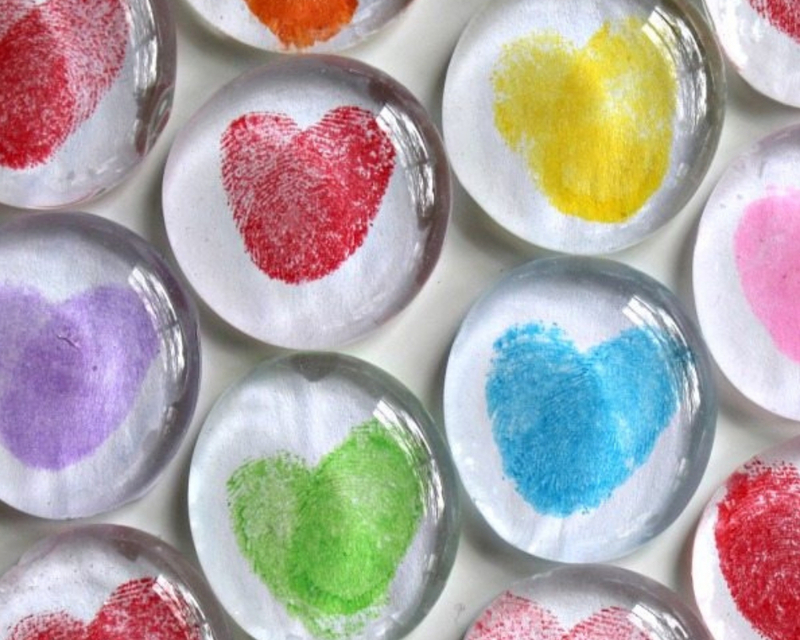 Then cut out the heart thumbprints and Mod Podge them to a clear glass bead. Add a magnet, and you’re set. This is a great way for the whole family to celebrate Valentine’s Day together. Holidays are more fun when everyone is involved, right? 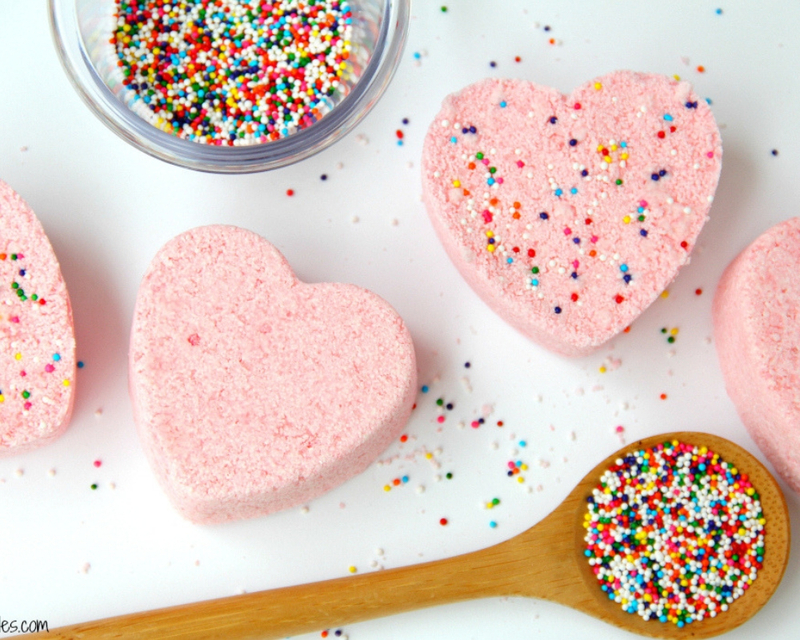 You could make some sugar cookies for your Valentine, but why not make cookies with them and turn baking and decorating into a Valentine’s Day activity you can do together? Why not introduce a little bit of healthy competition? 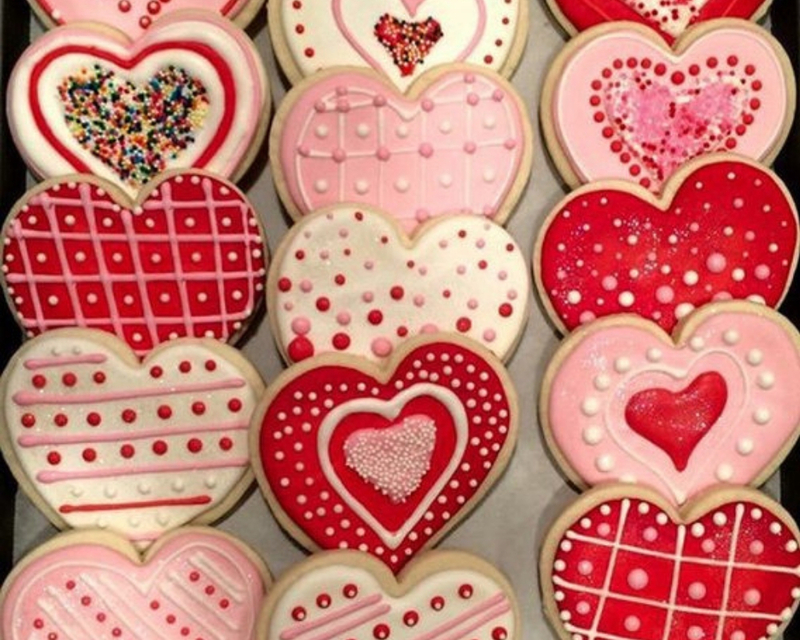 Whoever makes the best-looking cookie wins a Valentine’s Day kiss. Better brush up on your piping skills and get that royal icing ready. Make sure that you have lots of festive sprinkles. Valentine’s Day is all about spreading the love. This gift lets your spread the love to all of the hungry birds in your area. 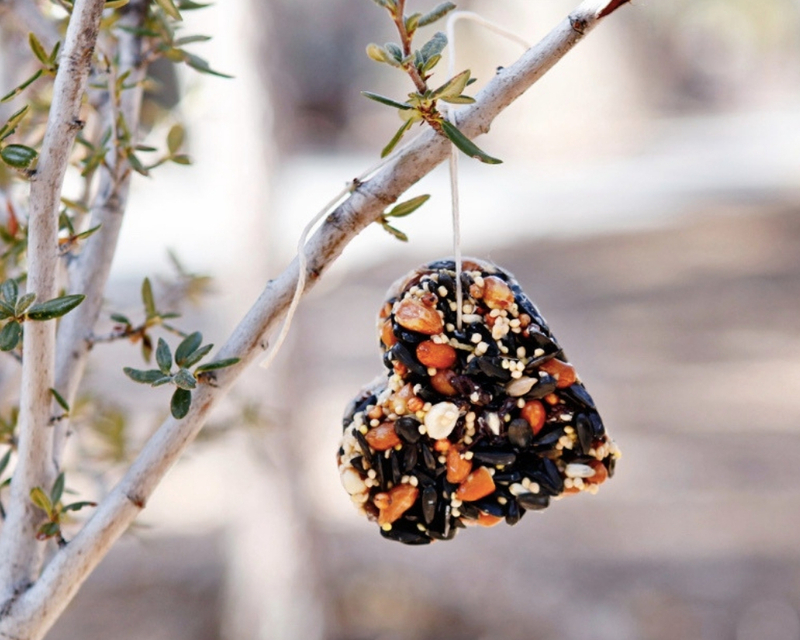 If birdwatching is your thing, these seed hearts make a lovely Valentine’s Day present. Just melt some coconut oil in a pan or in the microwave, add your birdseed and place the mixture in a heart mold. 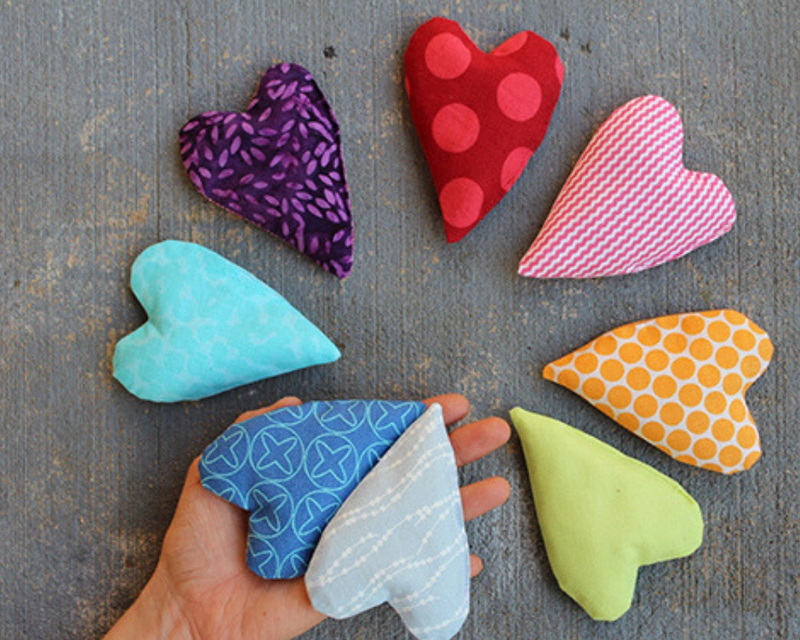 Place your hearts in the freezer, add a string, a hang them on a nearby tree. Need to ensure your Valentine’s Day gift is a hit? One word: pizza. Anytime can be pizza time as far as I’m concerned. 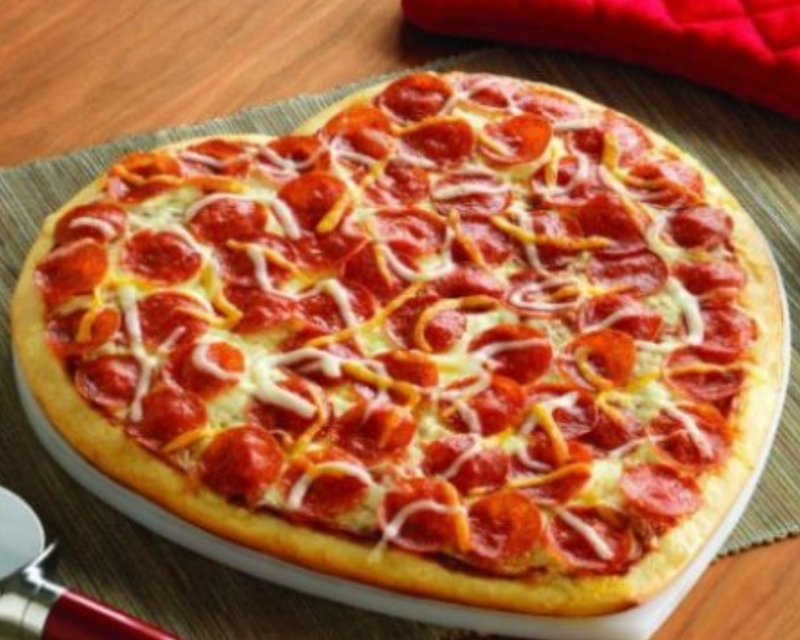 If you make pizza in the shape of a heart, then it’s Valentine’s Day pizza. Making pizza with your significant other is just about the most romantic thing you can do. The only thing better than making pizza is eating pizza. Luckily, making pizza usually means that you get to eat pizza. Roll out some dough, add your favorite toppings, pop it in the oven, and enjoy. You could go to Bath and Body Works and get your girl a nice Toasted Vanilla Chai candle, or you could roll up your sleeves and make a way cuter candle that smells just as good and is better for the environment. Just melt down some soy wax flakes, and some essential oil, and pour the liquid wax into a tea cup with a wick hot glued to the bottom of it. Add a pinch of loose leaf tea for some extra flair. Up next, Netflix and chill but make it romantic. 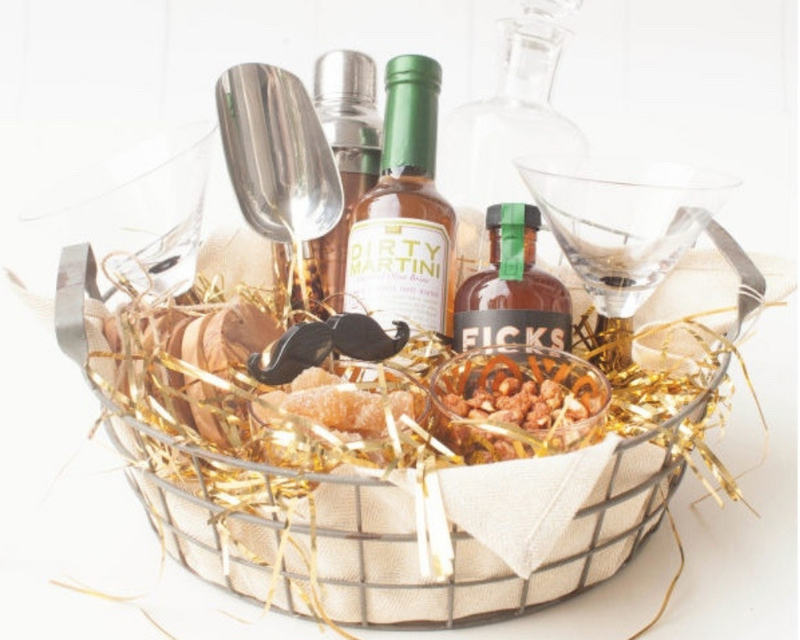 Take your Netflix and chill to the next level with this romantic movie box that’s full of goodies that are perfect for your favorite homebody. You should never show up to a party empty-handed, and a party for two is still very much a party. 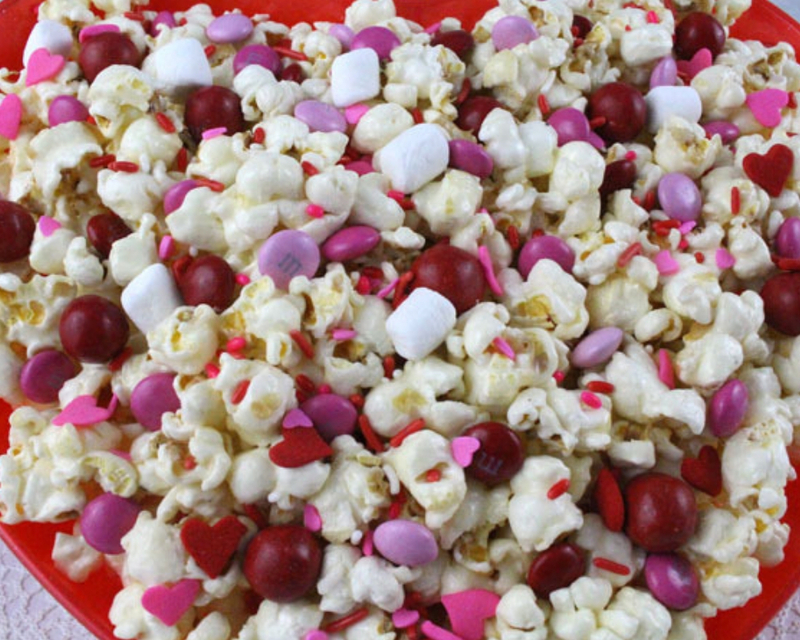 Fill a box or crate with champagne, some marshmallows, some sticks for marshmallow roasting, and some of that Valentine’s Day popcorn we made earlier. You can bring a DVD if you want, but who even watches DVDs anymore? Red velvet cake is a Valentine’s Day classic. It’s basically just chocolate cake with red food coloring, but you get to have it with cream cheese icing which is obviously the best icing known to mankind. 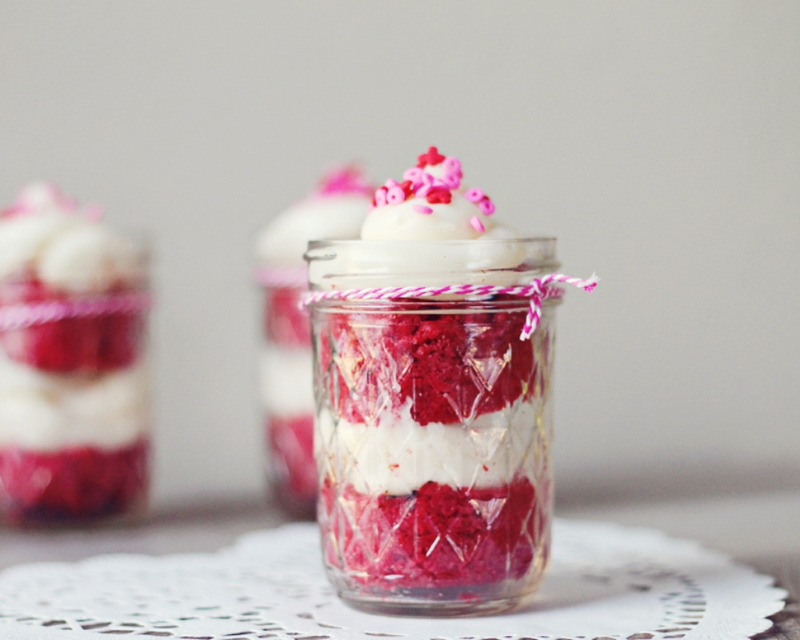 This cake in a jar idea gives you the best cake to icing ratio. These are super easy to make, plus they’re portable, so you can take them along to a romantic picnic or to your date’s house for a cozy night in. This is a Valentine’s Day craft that’s fun for the whole family. All you’ll need is some glass paint, glass markers, and a white serving platter. 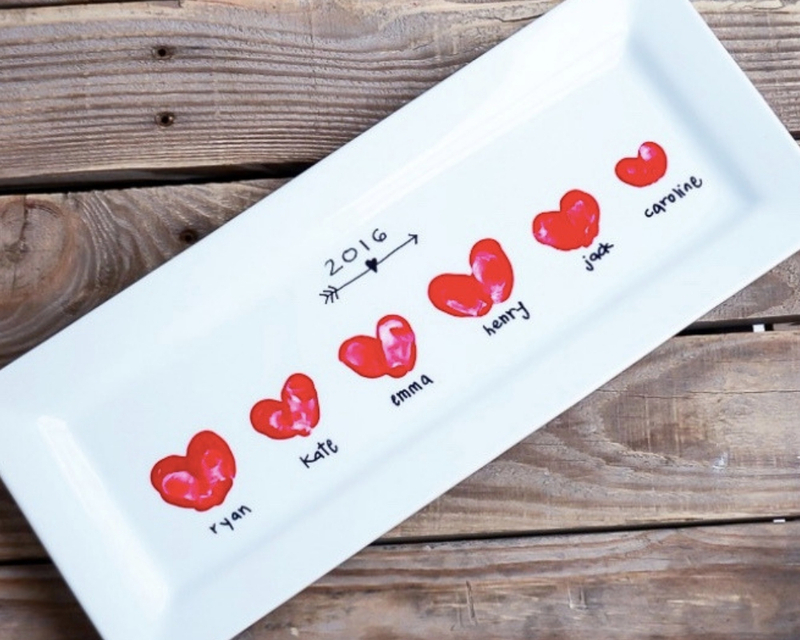 Have everyone print their thumbs in paint onto the platter, and names and the date with the marker, and then bake the whole thing in the oven according to the directions on the glass paint that you’ve chosen. This gift works for both Valentine’s Day and Mother’s Day so it’s a win-win. If the man in your life has a glorious beard, this next gift idea is for you. What do you get for the man who has everything? Beard balm, of course. I mean, only if he has a beard, but I guess he could always grow a beard if he doesn’t have one at the moment. This adorable handmade gift is perfect for the hairy man in your life. You’ll need some beeswax, jojoba oil, shea butter, argan oil, vitamin E oil, cedarwood essential oil, and a tin for packaging. 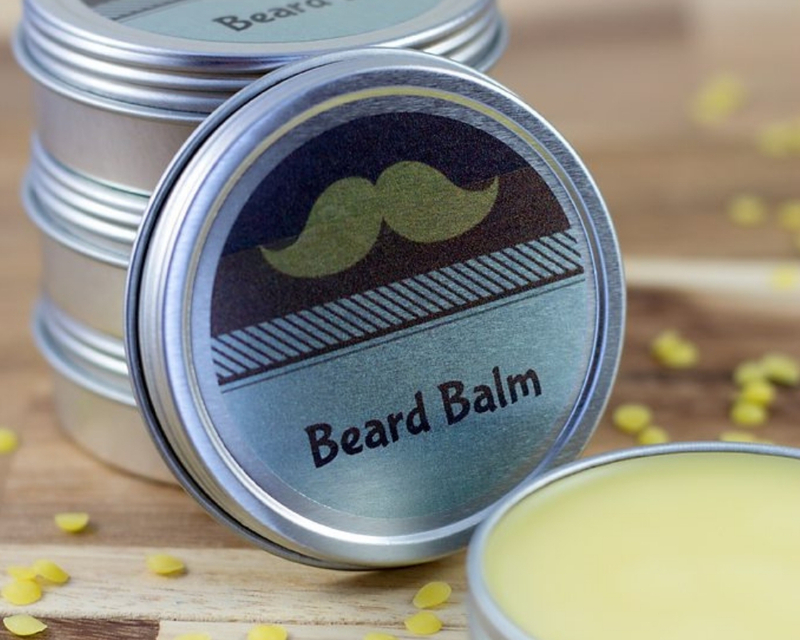 If you think that a small tin of beard balm isn’t enough for your man, you could stick that beard balm into a gift basket full of all kinds of manly goodies. Pick up his favorite scotch, some bar accessories, some of his favorite snacks, a bottle of cologne, and some manly grooming products. Pack everything into a beautiful little basket and you’ll be ready for Valentine’s Day. Multiple presents are always better than one. Embroidery is a super easy skill to learn, and once you know how to do it, you can make so many cute things. 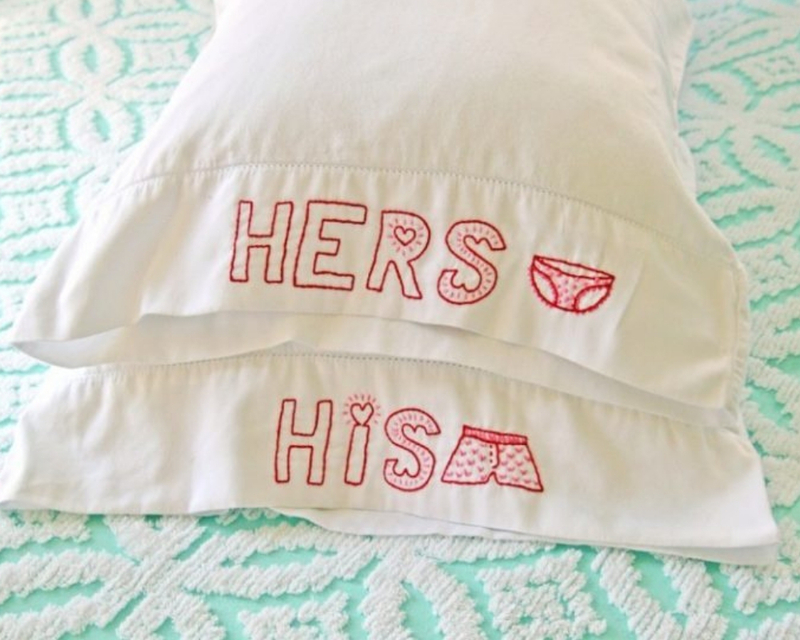 Find some embroidery tutorials on YouTube and teach yourself how to make adorable pillowcases like these ones. You can use this design as inspiration, or you can make something that’s totally unique to you and your boo as a couple. The possibilities are endless. This design would be great for somebody who always hogs all of the pillows. Sometimes all it takes is some clever packaging to turn an average gift into something that looks classy and professional. Anybody can bake brownies, but can you bake Valentine’s themed brownies and pack them in a gorgeous gift box? You bet you can! 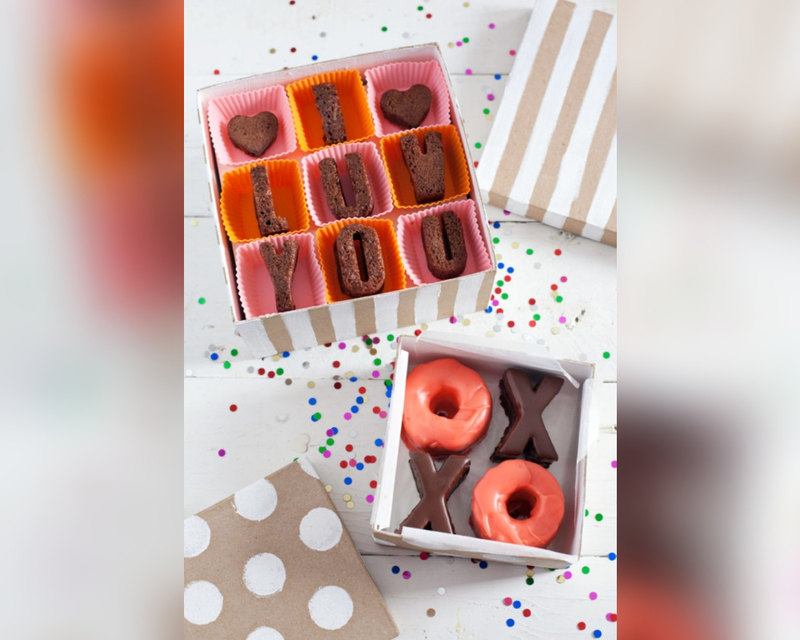 You can buy some letter baking molds to complete this project, or you can just bake the brownies in a sheet pan and use cookie cutters to make the letters after they’re baked. For this project you’ll need a candle, a linoleum cutter, a gold leaf pen, and a printed out design. Print your design on to regular printer paper, them tape the design onto your candle. 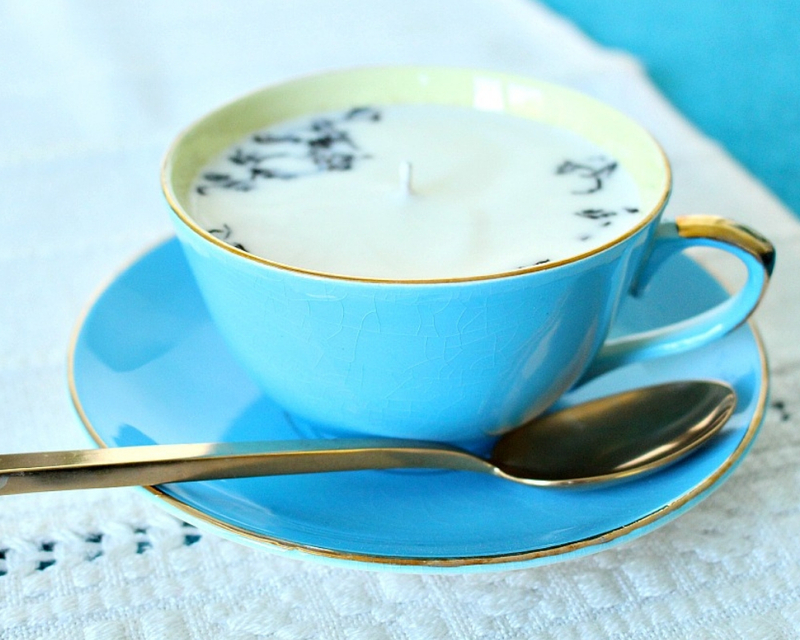 Use something sharp to trace your design into your candle. Then use a linoleum cutter to fully carve out your initials. 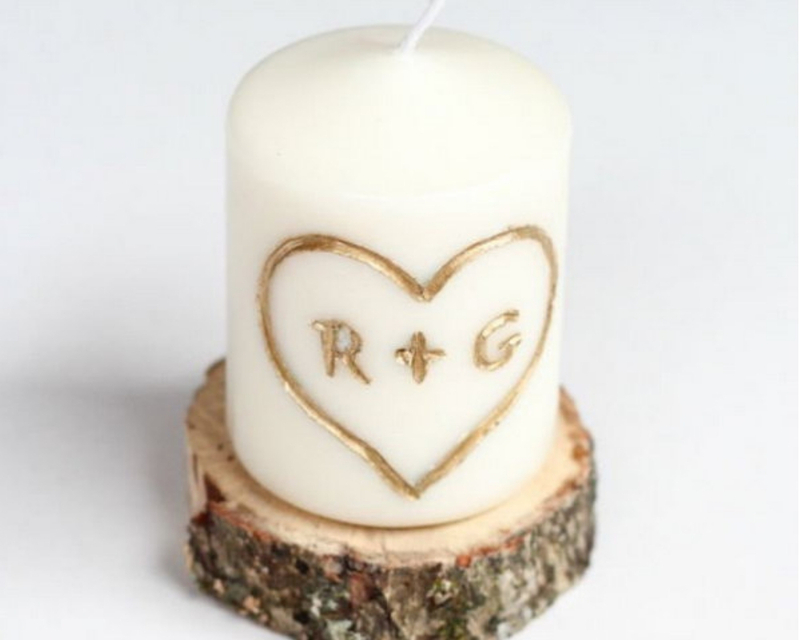 Trace over your carved design with a gold leaf pen, and voila, you’ve got a personalized candle for Valentine’s Day. Treat your Valentine to a home cooked meal this Valentine’s Day. The whole meal doesn’t have to be heart shaped, but it’s nice to insert some festive flair where you can. This is an easy way to bring the spirit of the holidays into your Valentine’s meal. 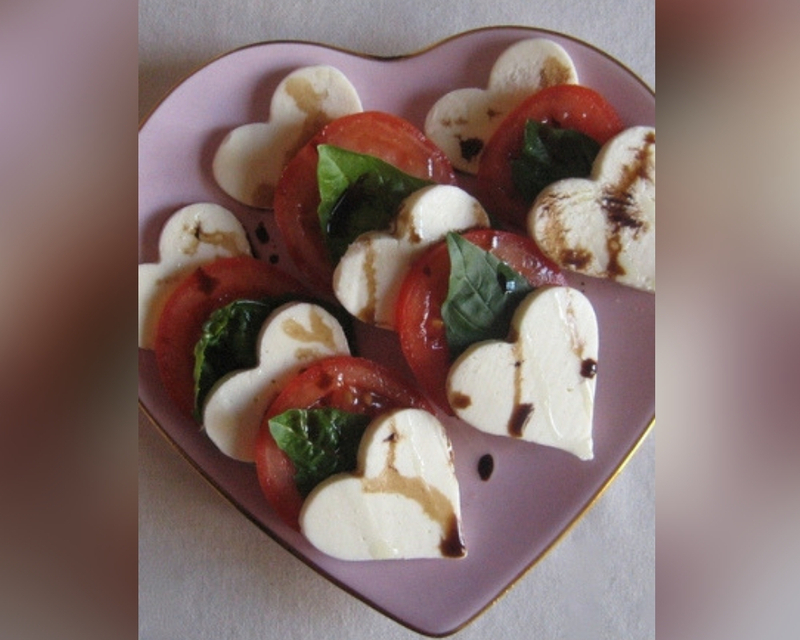 Just use a cookie cutter to cut some mozzarella into adorable heart shapes. Layer with tomatoes and basil, add a balsamic vinegar drizzle, and you’re good to go. Presents are always better when you make them yourself. If you’re a crafty person and you haven’t invested in a wood burning tool yet, you definitely should. 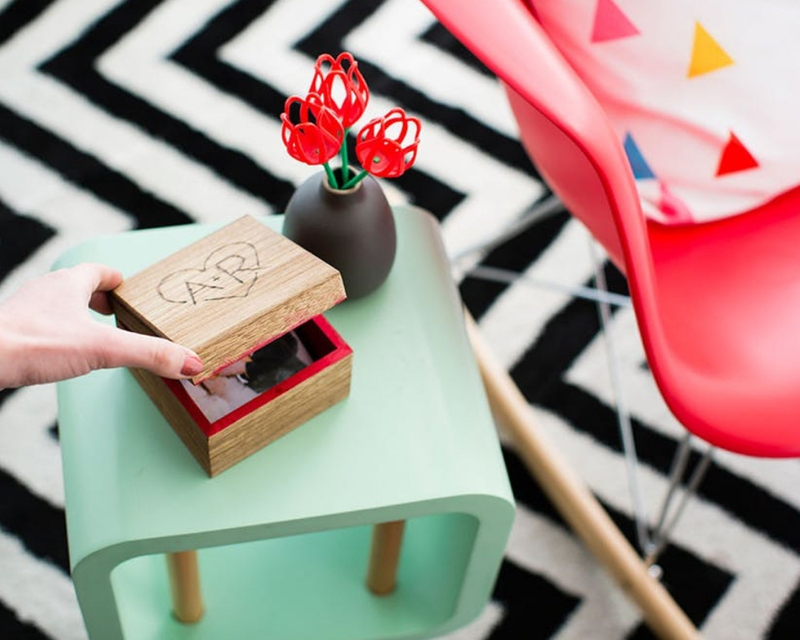 These things let you personalize anything made of wood and they’re super easy to use. Decorate a wooden box any way you’d like, and then fill it with pictures of you and your Valentine. You can even write a little love note on the back of each picture if you’re feeling extra romantic. 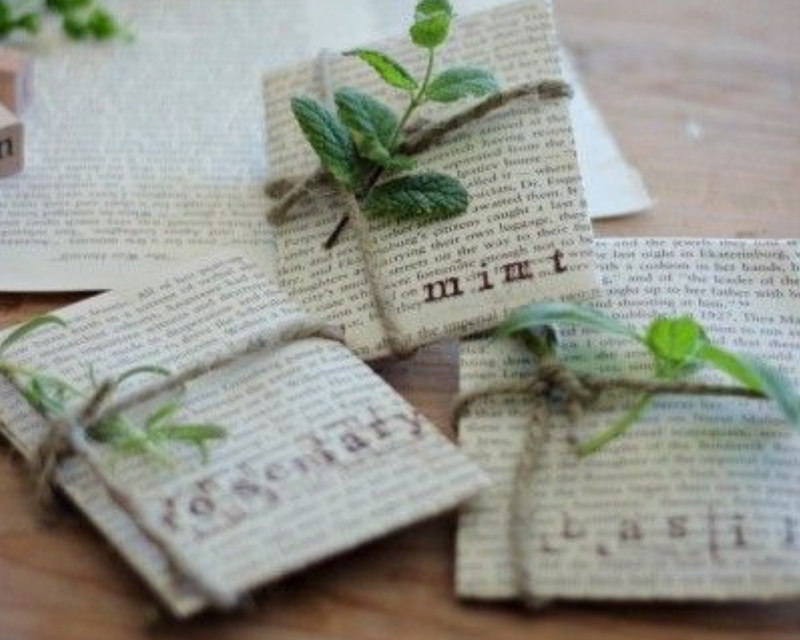 You can use an old book to create a secret hiding place for all of your love notes and thoughtful Valentine’s Day gifts. Just use an Exacto knife to cut out the centre of the book’s pages, and then use glue mixed with water to hold all of the pages in place. 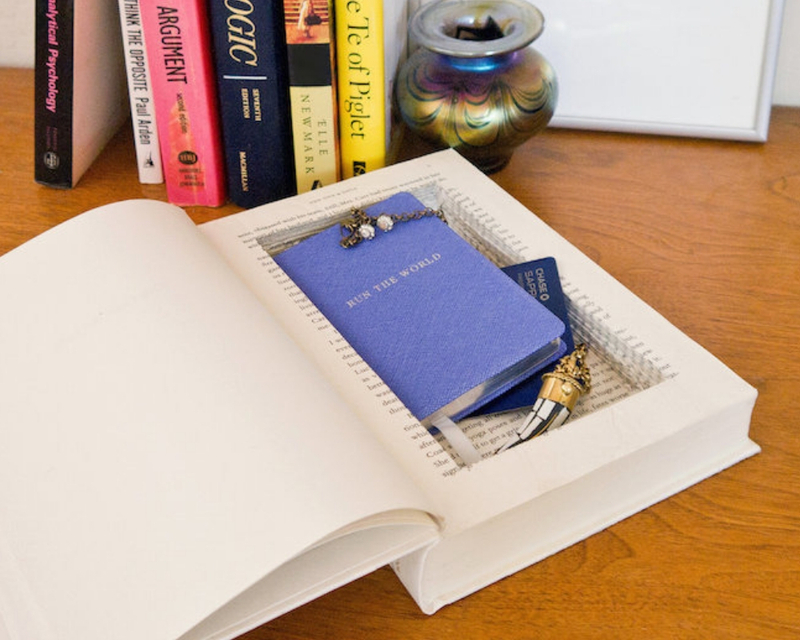 Once the book is dry, you can fill it with all of your favorite keepsakes. It takes a while to dry, though, so you’ll want to give yourself a lot of time to complete this project. You can use the pages you cut out of that book to make some darling seed packets for Valentine’s Day. Growing something as a couple is the loveliest way to express your commitment to growing your relationship. You can grow all kinds of herbs including mint, basil, rosemary, thyme, and sage. Once you’ve grown your herb garden, you can use those herbs to create all kinds of delicious meals. An herb garden is the gift that keeps on giving. There’s nothing wrong with being basic. Sometimes you just have to celebrate what makes you happy, and if Starbucks and nail polish makes you happy, then so be it. 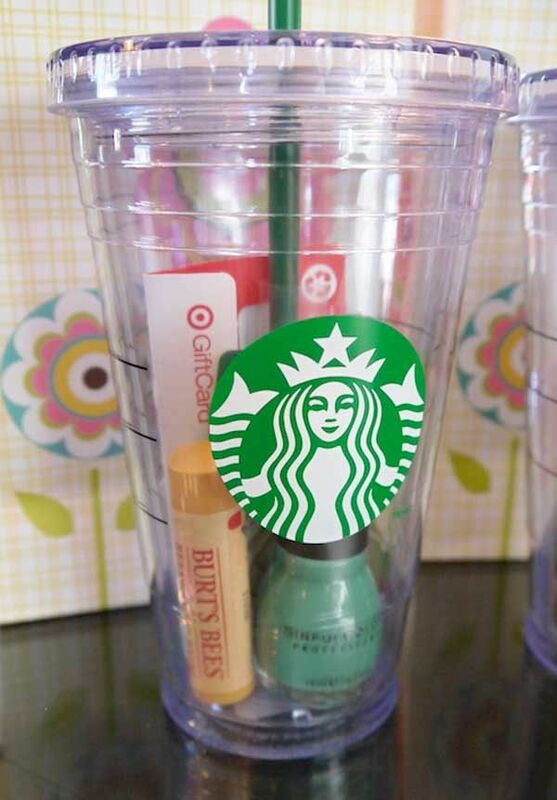 If you’re dating a basic lady, get her a reusable Starbucks cup and fill it with all of her favorite things. 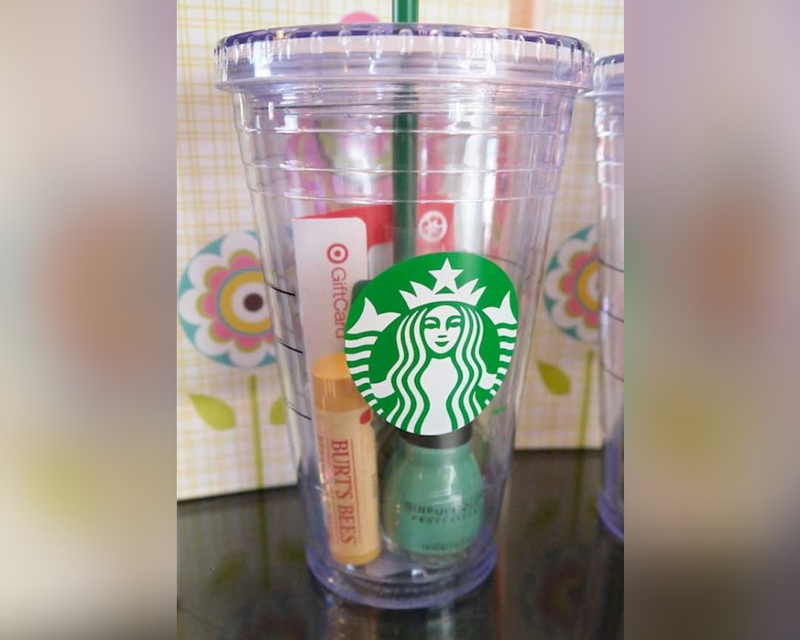 This person chose a nail polish, a Target gift card, and some Burt’s Bees chapstick. I would throw some chocolate in there as well. I don’t know about you, but my lips get super chapped in the winter months. You can buy lip scrub from a store, or, if you’re feeling creative you can make some yourself. All you need is some coarse sugar, some coconut oil, and flavoring of your choice. You can add mint extract, vanilla extract, or almond extract. Basically any extract works well here. 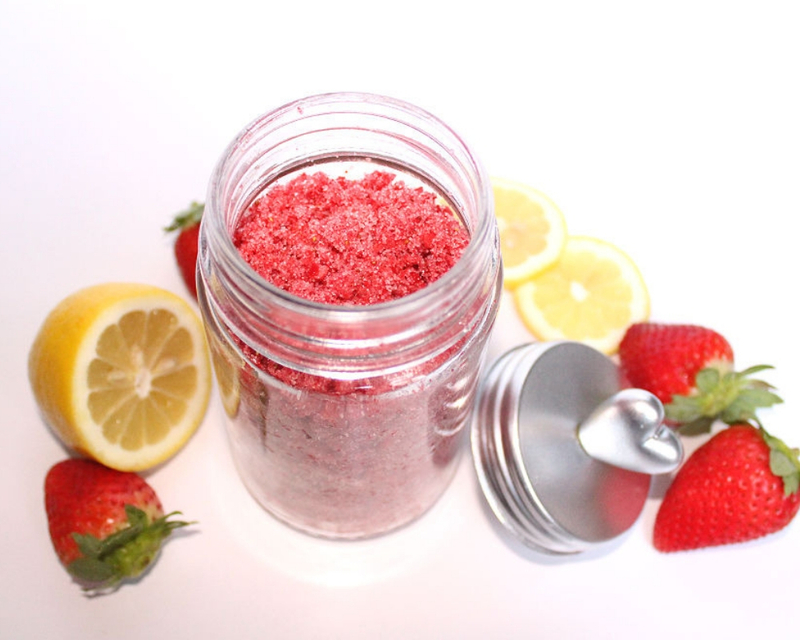 In the photo above they used dried strawberry slices and lemon essential oil. For this adorable DIY you’ll need some faux leather, embroidery thread, a key ring, and a glue gun. 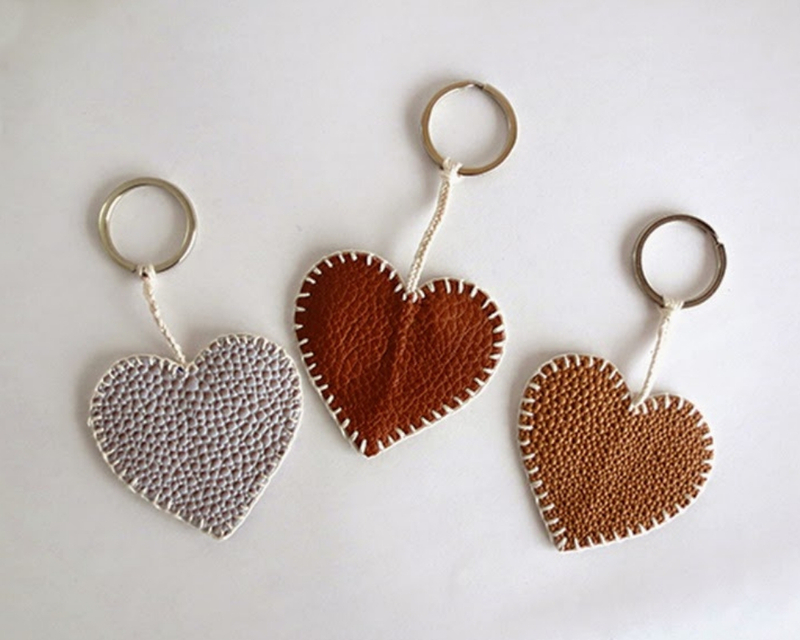 Tie a piece of embroidery thread to a key ring, and sandwich the other end of it between two pieces of leather that you’ve cut into matching heart shapes. Glue everything into place, and then use a needle and embroidery thread to sew the edges of the heart shut. Give it to your partner on Valentine’s Day to remind them that they take your heart with them wherever they go. 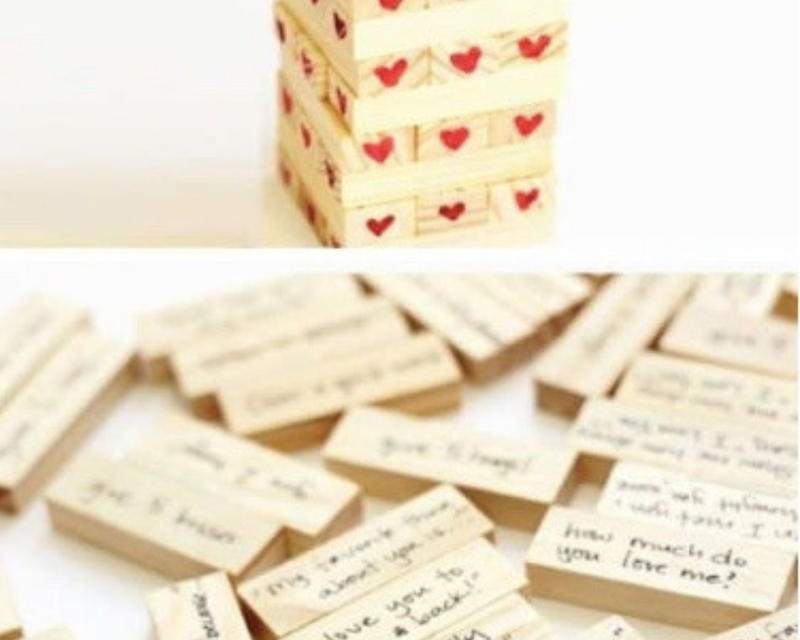 Jenga is so much more fun when every block you remove has a cute love note on it. You’ll never want to play normal Jenga again. You can make this game yourself totally from scratch, or you can just modify a pre-made Jenga game. Either way, I’m sure your efforts will be appreciated. Plus you’ll have a fun game to play after dinner on Valentine’s Day. Who’s ready for game night? 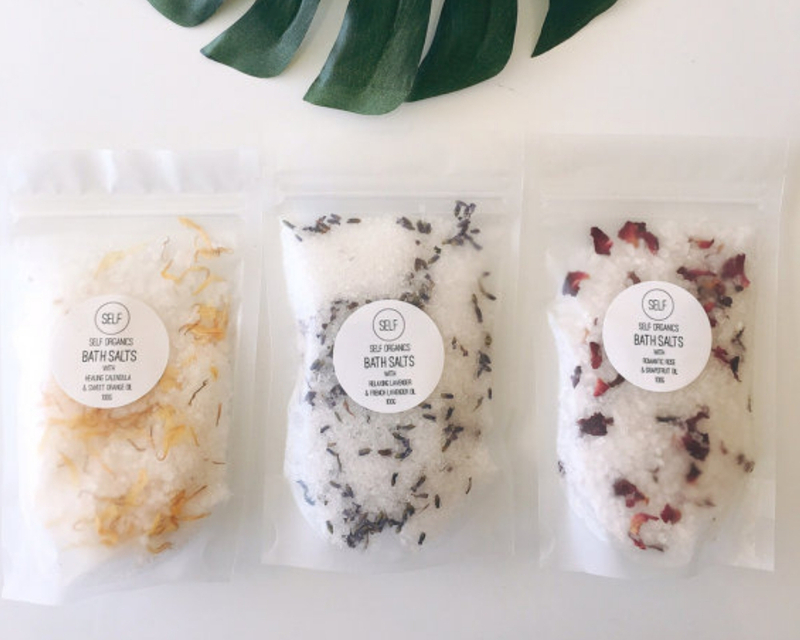 You could buy these gorgeous bath salts online, or if you really want your boo to know how much you love them, you could make them yourself. Just mix together some Epsom salt, sea salt, baking soda, and essential oil. Add in some dried flowers if you’re feeling extra fancy. The best part of this gift is that you and your Valentine can use it together on the night of February 14th. I love this idea so much. 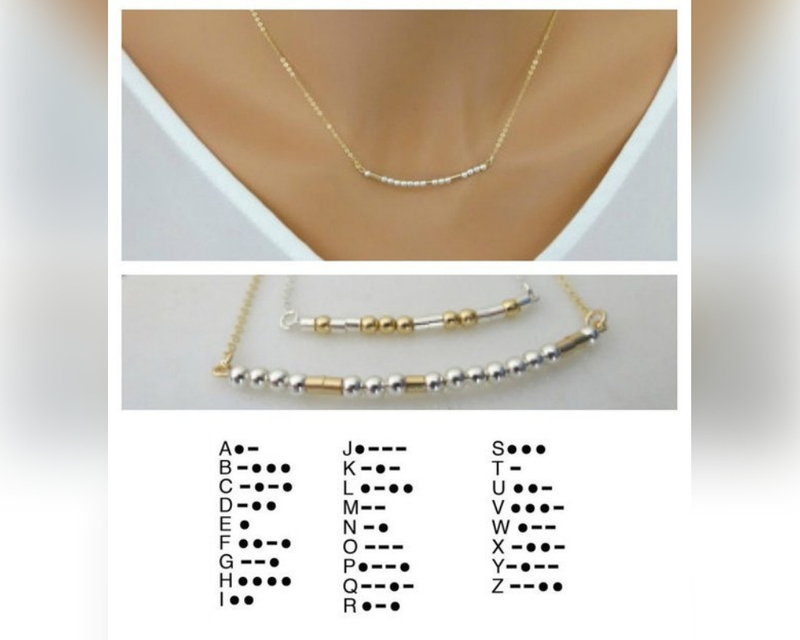 You can use morse code to spell out anything you’d like on a gorgeous gold and silver necklace. Just pick up some beads and chains from your local craft store and get to it. If you don’t have that much confidence in your jewelry making skills, you can buy this necklace from the Etsy shop linked above. I would love to wear a secret message from my bae around my neck. 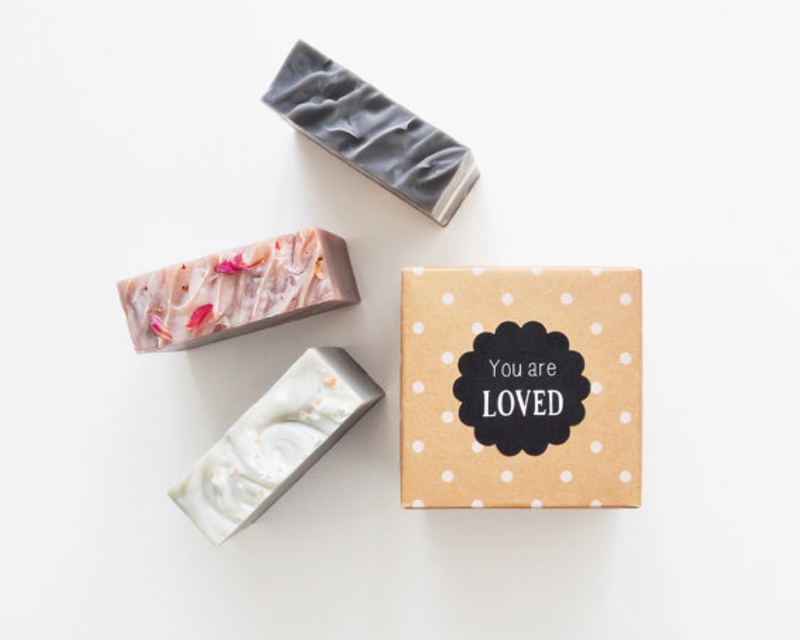 There are a whole bunch of different ways to make soap, and all of those ways have their advantages and disadvantages. There’s the melt and pour process, the cold process, the hot process, and rebatching. You can find out more about all of these processes online and decide which one you want to tackle. Pick the one you think your Valentine would like best and get mixing. This project would look great in a little basket alongside some homemade bath salts.